Summer is really coming to an end. With the rainy days and temperature dropping to around 60’s this long weekend, I’m really having to bid it good bye, though I really don’t want to. 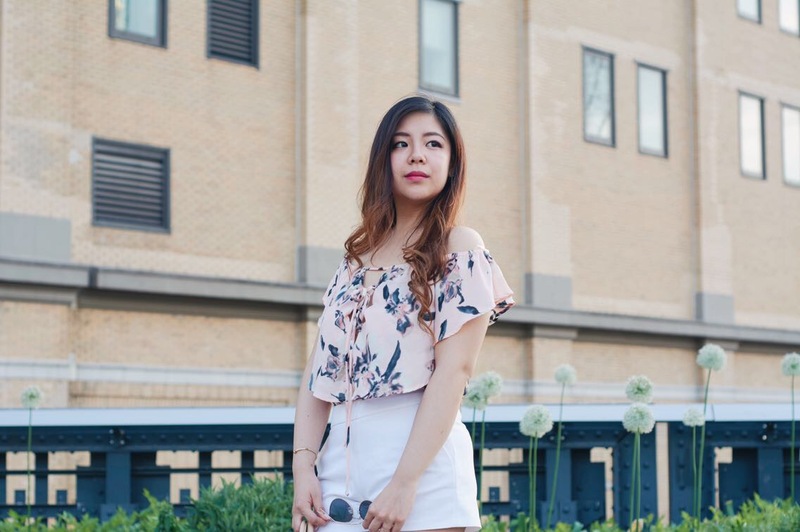 So I wanted to do a round up of my Spring and Summer looks this season to reminisce all the good times! I hope you enjoyed all the different looks just as much as me! I’ve linked all photos to their relative posts, if you’re interested in reading about the outfits and seeing more pictures! And so! Let the slide show BEGIN! It’s My Birthday! 3 Things I Learned Through My Quarter Life Crisis! Trend Alert: My Beloved, Scallops. 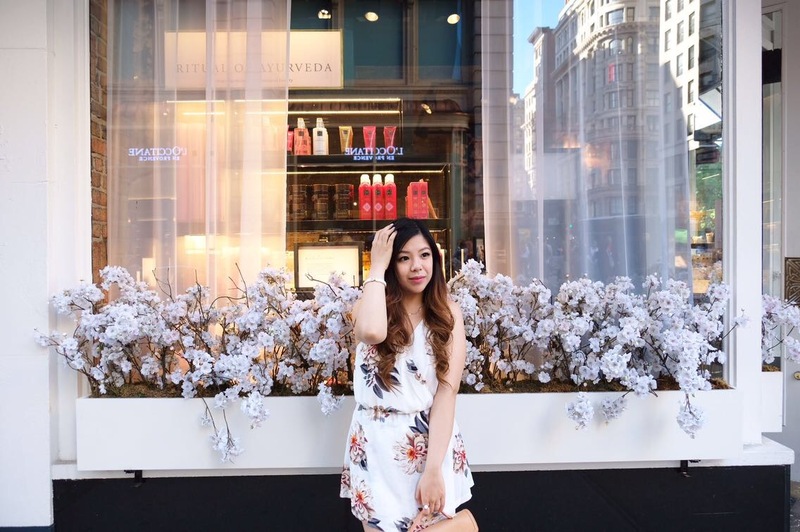 25 THINGS: Get to Know the Gal Behind SINCERELY OPHELIA! Well, that about sums it up! I didn’t include every single look, but this covers a broad spectrum of it! Looking back, this season I’m really loving a lot of off the shoulder and cold shoulder styles. 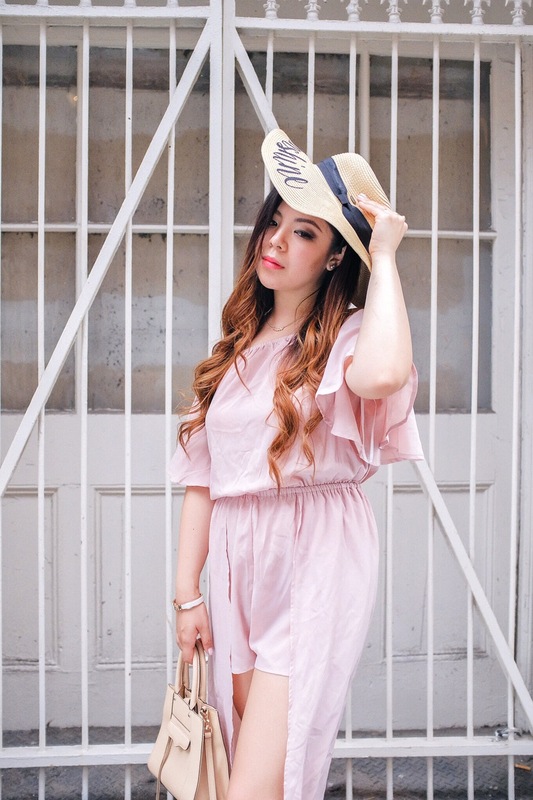 In case, you haven’t noticed, I am definitely a big fan of playsuits and rompers, because they are just so so convenient to style! I enjoyed sharing all these outfits with you all! Let us march on to Fall! Until next year, dear Summer! If you can, I’d love if you can write back and let me know, which post you enjoyed the most or which look you liked the most! I’d love to hear back! Have a lovely week everyone! I’m so jealous of the cool weather you’ve had over the weekend! We’re at around 115, and I think I’m melting! I’m still in love with the neckline of the last romper! I can’t take my eyes off from your bag collection! impressive!! I’m also a huge fan of scallops- hope it stays in style for a while. 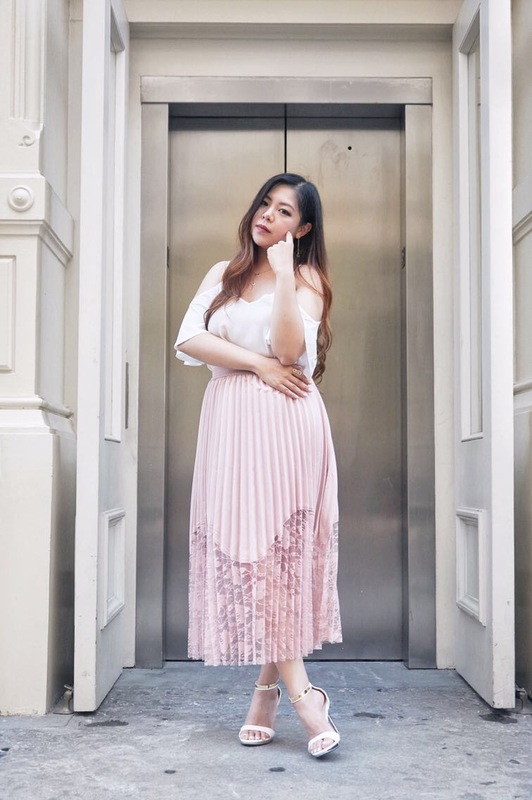 Lace up flats are cute- but any recommendations for girls with shorter and chubbier legs haha. They just make my legs shorter and chubbier. Would it be worth the while to still invest in a pair? Looking forward to your fall styling. Such a shame my seasons are reversed to yours on this half of the hemisphere! What a gorgeous round up of outfits, you really have worn a whole host of different looks and styles across spring and summer. Oh dear, I am in love with all of your outfits! It all looks good on you. How I wish I can find these pretty clothes too! I’ll be bookmarking this for my reference. Some great looks! i love the scallop bottoms – and the gingham looks are really fun. I am impressed with all your outfits. They are all lovely! You dress so well! I loved all your summer looks! It’s a sad time when summer comes to close but can’t wait to catch your fall looks! Great outfits! I really like the rompers. They look comfy and looks great on you. Nice style! Loved all your SS looks. You look great. I am kinda sad to see summers go. Such a lovely round up ! Loved all the dresses. You look gorgeous and I am jealous of your figure. You go girl ! Some really beautiful outfits you got there, you look cute in them all especially the pink blush. I loved all your outfits. If you ask me to choose my favourite, it would be really hard to pick. 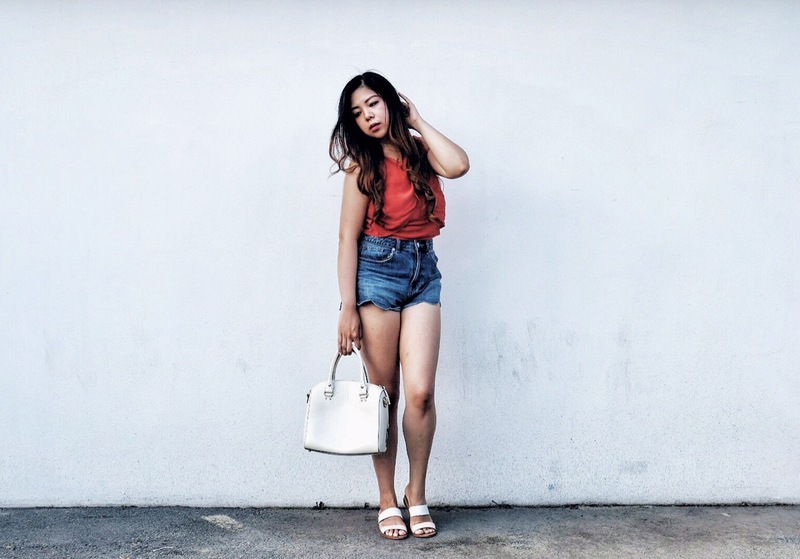 Love your shorts and lace-up flats, in particular. Cheers!! Love your Channel handbag! Cute looks, I love round-ups! I love all of you outfits. You pull off a lot more styles than I do. Love these outfits! You love amazing! Your style is beautiful! Love all your stylish looks! Every outfit is beautiful! Super stylish and chic! Such a pretty round up of outfits ! Thanks for sharing ! All your outfits are so cute, they make me really jealous. I think the navy jumper or the white skirt with the black striped shirt are my favorites. I really love all the off the shoulder looks too! I have yet to try that trend though, not sure how I would do the whole bra thing with them. But maybe I will try it out in the spring. Love all your photos too! omg I love your style! These outfits are all so fun and tasteful! Great pics too! What a lovely roundup of looks! The romper ones are my favorite! I love your style. These outfit look fabulous. I bought the DW Classic Petite after I saw it here on your blog. She loved it!